▶ SoldThis listing was sold on Nov 2, 2018 for the price shown here. Large brick ranch. Great location. New septic system installed and passed by St. Charles County. Just needs your TLC to turn this back into a gem! *** Freddie Mac First Look Initiative: Owner occupied offers first 20 days in MLS thru 09/28/2018. Owner occupied affidavit required (see attached). Special addendums after acceptance- min. $1000 earnest money in form of cashiers check payable to List Co. along w/ prequal/proof of funds required with all offers. 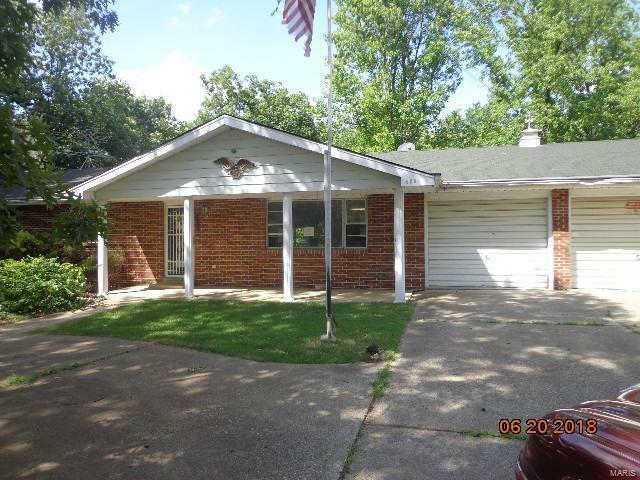 “ Seller will not complete any repairs to the subject property, either lender or buyer requested. The property is sold in AS IS condition” See agent remarks for highest and best deadline and attachments.